Bulletin 450L GuardShield™ POC safety light curtains are unlike traditional safety light curtains, which are based on separate transmitter and receiver units. Patented technology allows each transceiver to be used as a transmitter or receiver via an innovative plug-in module. The 450L-B is the basic model with on/off functionality. The advanced 450L-E model features integrated laser alignment, cascading, blanking, and integrated muting. Simplify standalone machine development for multiple industries with the Connected Components Workbench™ software. 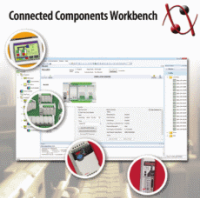 As part of our Integrated Architecture® system, our Connected Components Workbench software provides device configuration, controller programming, and integration with Human Machine Interface (HMI) editor. This software helps reduce initial machine development time and cost. The Connected Components Workbench software supports all Micro800 controllers, including the new Micro870 programmable logic controller (PLC). 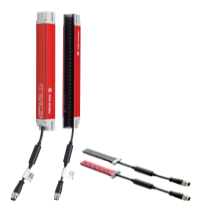 This controller can be used in place of multiple micro PLCs in large standalone smart machines or systems. The software also supports the PanelView 800 graphic terminals, PowerFlex drives, SMC soft starters, Kinetix component servo drives and various safety devices such as the Guardmaster 440C-CR30 safety relay and GuardShield 450L light curtain. Single-function safety relays are the most economical solution for smaller machines where a dedicated logic device is needed to complete the safety function. 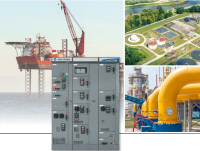 Modular and configurable monitoring safety relays are preferred where a large and diverse number of safeguarding devices and minimal zone control are required. Allen-Bradley® CENTERLINE® 2100 Motor Control Centers (MCCs) combine rugged durability and premium quality, integrating control and power in one centralized package with a wide variety of motor control options. Our industry-leading motor control center meets UL and NEMA standards – delivering the maximum in safety, performance and reliability. ©2018 I.C.Systems S.A. All rights reserved.